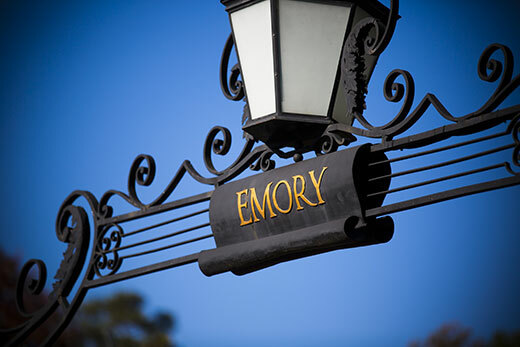 Emory is among a group of 19 leading American universities urging the United States District Court of the Southern District of Texas, Brownsville Division, to support students who are part of the Deferred Action for Childhood Arrival (DACA) program. Established in 2012, DACA allows certain individuals who entered the United States as undocumented immigrants before the age of 16 to request deferred action from removal proceedings for renewable two-year periods. The universities, all of which admit DACA students, take issue with the Department of Homeland Security’s Sept. 5, 2017, memorandum rescinding the DACA program. The case is State of Texas, et al, plaintiffs v. United States of America, et al, defendants, Karla Perez, et al, defendants-intervenors, and the State of New Jersey, movant. The universities have filed their brief as amici curiae (or “friends of the court”) urging the court to reject the plaintiffs’ motion for a preliminary injunction in the case. In addition to Emory, the brief is signed by Brown University, California Institute of Technology, Columbia University, Cornell University, Dartmouth College, Duke University, Georgetown University, George Washington University, Harvard University, Massachusetts Institute of Technology, Northwestern University, Princeton University, Stanford University, University of Chicago, the University of Pennsylvania, Vanderbilt University, Washington University in St. Louis and Yale University. Emory has joined with other universities in several amicus briefs in cases related to DACA since the Homeland Security memorandum was issued, including cases before the United States Court of Appeals for the Second Circuit and the United States District Court for the Northern District of California, San Francisco Division.